On CD4049 you can see 6 independent inverters, each having 3 inverters connected in series with increasing gate width on each stage - this helps to achieve higher speed and lower input capacitance. 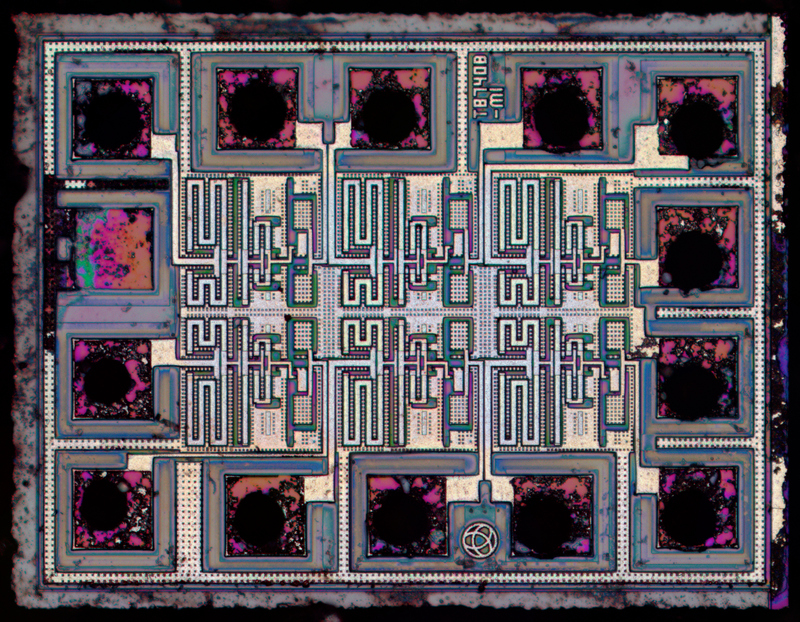 Gate length is 6µm, so it is probably the slowest CMOS circuit one can ever see. Gates are metal (i.e. not self-aligned silicon) which are again the slower type at that time.